ASSISTO is a cross industry solution that offers control and visibility over all the contracts and supporting documents during their entire life cycle.Every single contract is stored, categorized and can be easily and securely accessible from anywhere using any device. Now you can have instant access to the contract you want! The entire process of contract creation, approval and retention is streamlined, so you no longer need to worry about complex related activities. Quickly learn how you can wisely manage contracts while getting significant financial savings, avoiding penalties or disruptive events for your business and protecting at the same time your confidential information. From the moment of creation until they are approved and during their entire lifecycle, errors can sneak in and documents can be lost thus generating unnecessary costs. We know that contract management is not your favorite activity. You need simple, fast, safe and cost-effective processes. Wouldn’t it be great if every contract could be stored carefully, properly classified and easily accessible? Right now does your entire contract management process suffer from the lack of automation and take up a lot of your precious time? A great deal of activities are still manually done and prone to mistakes that you cannot afford? ASSISTO is a cross industry solution that offers control and visibility over all the contracts and supporting documents during their entire lifecycle. Every single contract is stored, categorized and can be easily and securely accessible from anywhere using any device. The entire process of contract creation, approval and retention is streamlined, so you no longer need to worry about complex related activities. If you need to considerably reduce the associated costs with contract management and mitigate risks; to create a unique registry for all contracts and the associated documents; if you want your employees to really contribute to the creation and management of contracts without losing data control, hire additional employees or outsourcing, then, this is the right solution for you! Do you want to respect commitments and delivery deadlines to your customers? You need to create a unique registry for the efficient management of all contracts and associated documents. Easily register any type of contract and view all contractual information with your business partners, whether it is about materials procurement, equipment or relevant services for the production and distribution of energy, keeping track of the associated services, such as: HR, IT, legal, marketing, sales, etc. Get rid of care renewal or renegotiation of contracts and focus to be the first to capitalize from new segments or products launched on the market. With just a few clicks you have now secure and permanent access and contractual information from anywhere. Quick and motivated business decisions by accessing from anywhere, at any time, the information contained in the contracts and related documents, regardless of the geographic distribution of your business. Reduce costs and implement strategies based on real information coming straight from your company. The supply chain and the contractual relationship with your suppliers become essential elements and represent a competitive advantage that must be maintained with proper tools. With ASSISTO, the management of contracts and related documents definitely assures you of an excellent relationship with all your suppliers and customers. SAP synchronization (enter the SAP code to receive contract information from an external SAP system; execute RFC call after the contract creation to store the HTTP direct link into the SAP system). Barcode (CODE_128, CODE_39, EAN_8, EAN_13, UPC_A, QR_CODE, ITF, PDF_417, CODABAR). SAP RFC call to save HTTP direct link of the contract document into the SAP system. Signed document will be automatically uploaded into the ASSISTO repository as a new version. Every user that can see a business object can comment on it. Users see quickly which cover information was changed and by which document. Advanced security - a Contract Manager can only see and manage the files assigned to him. Documents can be viewed without downloading them - even with dynamic watermark. Contracts and associated documents can be available for navigations according to role policies inside the organization. Save search for private/public later use. Daily-digest for alert based mail notification. Reports may be saved in the system for later confrontation of data. Contract financial dashboard to centralize financial information from document records (e.g. : for a frame contract show direct and subsequent expenses and commitments). Security, role based authorizations to solution features and role based permissions at business object level(view/edit/delete). Enhanced user experience with dedicated dashboards and various charts to display business relevant information. Business is no longer located in your corporate office, so why should your business documents be? You have the freedom to choose your ideal delivery model. Available both as a perpetual license for On Premises deployment as well as an On Demand cloud based delivery, you can choose what’s best for you. 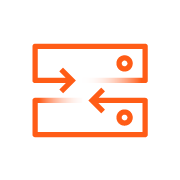 Choose On Premises deployment and use your existing infrastructure for building your private cloud leveraging the native ASSISTO multi-tenant features. 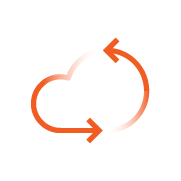 Choose local cloud delivery from our EU Data Center powered by StarVault or global cloud with multiple data centers across the globe powered by Microsoft Azure. Competitive advantage in negotiation, resolve disputes and analyze results. Reduced bottlenecks using state of the art automation and notification system throughout the entire contract life cycle. Keep a consolidated list of all contracts for quicker access. Avoid working with paper and losing contracts & associated documents. Flexible security rules for access and collaboration on contracts and related documents. Compliance with the internal and external regulations.